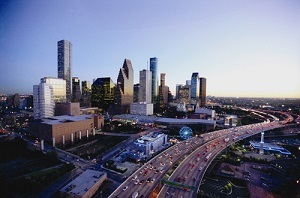 As a thriving metropolis, Houston has a lot to offer to the would-be treasure-hunter. If you’ve always wanted to try storage auctions but weren’t sure how to get started, here’s some good news: It’s easier than you might think to find storage auctions in Houston. In fact, there are many methods for finding upcoming auctions, and understanding your options will help you choose the best one for your needs. All storage auctions, by law, must be advertised in a public place, such as a newspaper or website. This means that you’ll always have advance notice of a sale if you know where to look. Local newspapers both large and small will run ads for upcoming auctions. Don’t overlook small papers for suburbs around the Houston area; these can be some of the best sales as fewer people will know about them. If you don’t feel like scouring through local newspapers in search of auction information, you can also try your luck with contacting facilities directly. This is particularly helpful if you’re looking for the auction schedule of just a handful of facilities, such as those close to home. Before calling the facility manager, however, check the company’s website. Many storage facilities run their auctions on a pre-set schedule and post a calendar of upcoming events online. Checking the site saves you time and prevents you from being seen as a nuisance by potentially overworked facility managers. Of course, all of this is time-consuming, and you probably have other things on your plate. If you want to find the best storage auctions in Houston without putting in hours of labor, your best bet is to subscribe to an auction listing service like AuctionsTX.com. This service does the work for you by looking for auction listings all over the web, in print and other sources before compiling all of that information into one place for you. Many auction listing services claim to provide detailed information about auctions around the country, but most of these big sites list only a few auctions per city and are copying information from other sites. AuctionsTX works differently. 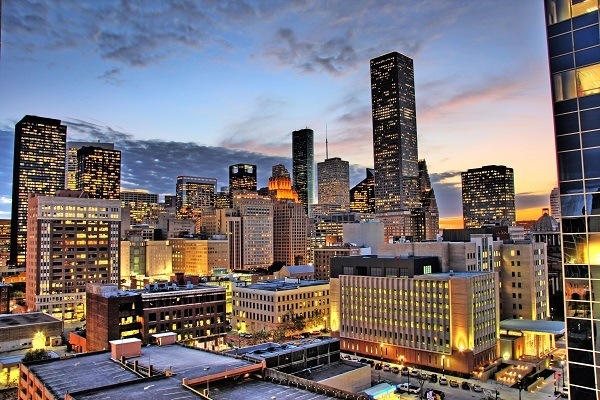 By focusing purely on Texas cities and employing a full staff to find information, AuctionsTX is able to offer the largest and most thorough storage auction listing for Houston residents available anywhere on the web. Taking advantage of this resource might be your first step toward an exciting new life as a Houston auction hunter. Although jobs are picking up around the country, the economy is still uncertain for many people. You may be working a less fulfilling job than you wanted or are still looking for work. Whatever the situation, you may want to try creating a job for yourself. 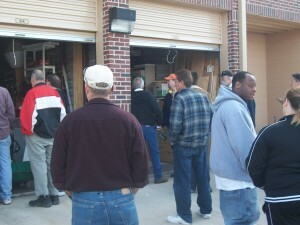 One excellent place to get started is by going to storage auctions to gather items for resale. Resale businesses have many benefits. You can set your own hours, pursue your interests and be your own boss. It’s not an easy line of work, but it can be very fun and very rewarding. When you look for profitable items within storage units, you can find yourself acting the part of a modern-day treasure hunter. Of course, some treasures are worth more than others, and you’ll need to be prepared to sift through ample amounts of trash to reach those valuable treasures. The average storage unit will contain a lot of tax document, old clothes, family photos and other items that will hold no value for you. However, many will also contain electronics, furniture, antiques and valuables that can be resold for a tidy profit. The trick to succeeding with storage auctions is to bid conservatively and never spend more than you know you can make back in profits. This requires some research into what items sell the best and what items are worth on the resale market, and you may make some mistakes at first. As you gain proficiency, however, you will swiftly become more competent at profiting from every auction you attend. Soon you may find that your resale profits can supplement or even replace the income from your day job. If the idea of being a modern-day treasure hunter appeals to you, storage auctions can be a fun way to spend a few hours and potentially make a profit. Although real-life auctions are rarely as exciting as those portrayed on reality TV shows like Storage Wars and Auction Hunters, plenty of people do attend these auctions as a part-time job or even full-time income. If you'd like to try it for yourself, it's a good idea to learn about these auctions so you'll know what to expect. Storage auctions occur when a tenant falls behind on rent for a storage unit. After several attempts to contact the renter through every known channel, the facility will place a notice of an upcoming sale in the local newspaper or other publication. On the day of the sale, the lock will be cut from the unit, and the auctioneer will allow the bidders to look at its contents. When looking at the storage unit, you will not be allowed to go inside the unit or touch anything. You can, however, bring a flashlight to help you see inside. After everyone's had the opportunity to look inside, the bidding will start. Once bidding slows down, the auctioneer will sell the unit to the highest bidder. The bidder may pay for the unit then in cash, or the auctioneer may prefer for the payments all to be made at the end of the auction if multiple units are up for sale. You can ask the auctioneer about his preference if he doesn't state it at the outset of the auction. Either way, you'll need to be sure to have plenty of cash on you: You won't have time to run to the ATM after winning a unit. Depending on the size of the storage facility and the frequency of its auctions, a storage auction might consist of several or even a dozen units. All together, the auction might last for a few hours, especially if there are a lot of people in attendance. Once you've purchased the unit, you'll need to have it cleaned out within 48 hours, so it's wise to devote at least one full day to your auction hunting. Each auction you attend will be unique and offer you plenty of new learning experiences, but all of them conform to the same general format. Once you know what to expect, you'll be better prepared for your first auction experience, which will give you a real advantage over your fellow newcomers. Who Profits From Storage Auctions? Occasionally, the bids on a storage unit at auction can go very high. The unit might be filled with rare items and collectibles, or the bidders may just be eager to win the unit in hopes of turning a profit on its contents. In some cases, the price of a unit can be dramatically inflated by overenthusiastic bidders, and the auctioneer might find himself bringing in a substantial sum of money for the items being sold. When this happens, who gets to keep the profits? 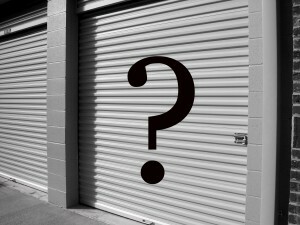 Although it may not seem like it at times, storage facilities are not actually in the business of selling their units. Facilities exist first and foremost to rent out storage space to people, and these facilities make their money by collecting monthly rent. Auctions only occur when a renter has defaulted on these rent payments. The purpose of this auction is to earn back some of the money lost in unpaid rent while clearing out the unit and making it available for the next renter. Facilities do not seek to earn profits from these auctions. In fact, in some states, they cannot legally make a profit from a lien sale. Officially, the proceeds of an auction go first toward paying off the lost rent. If there is any overage, the facility manager must attempt to send that money back to the renter. If this fails, the state laws may allow the facility owner to hold onto the money for a predetermined amount of time. At the end of that period, the state will let the storage facility keep the money. This policy does differ from one state to the next, however, and the majority of states do not work this way. Instead, these states require the money to be held in state-operated escheatable accounts, where the money may linger indefinitely unless the original tenant steps forward to claim it. 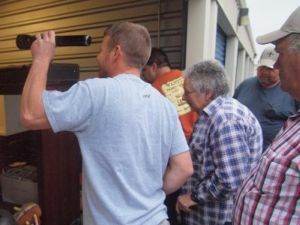 The only person at a storage auction who will benefit from high bids is the auctioneer. Auctioneers are paid a commission based on a percentage of the total bid, so it's in the auctioneer's best interests to get the bidding as high as possible. That said, most storage units aren't worth much money, and the bidding often fails to go over the amount owed on the unit. Overall, no one is getting rich off storage auctions but many people on both sides of the auction are able to pay their bills with them. 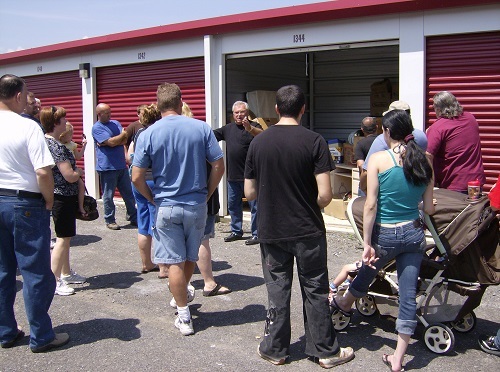 Online storage auctions are undoubtedly beneficial for buyers and sellers. The convenience of online auctions can also be used to an auctioneer's advantage, however, and learning to use this tool for your auction business can put you ahead of the competition. 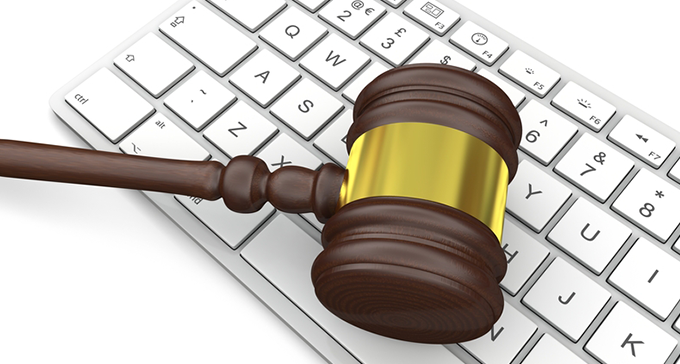 While it may seem counter intuitive, online storage auctions can greatly enhance your auctioneer career. If you use OnlineStorageAuctions.com to list your auction, you have the option of running the auction concurrently with a live auction. The way this works is that you would place the unit for auction on the site first, then have that auction end right before the live auction begins. You start the live auction at the high bid from the Internet. If no one outbids the starting bid, the unit goes to the online bidder and you move on to your next unit. This sidesteps the legal concerns in states where exclusively virtual auctions are not allowed, and it saves you a lot of time. -- Bids are often substantially higher than they would be in person. This means that you can pocket more money from your commission, making these auctions more valuable. -- The live auction will be a lot shorter than normal since you'll have a higher starting bid. This saves you time and lets you schedule more auctions for one day. -- In some cases, you can post auctions on behalf of the storage facility and earn a commission on the sale without actually having to conduct a live auction. -- The auctions are well-advertised through the site's network, which gives your sale more exposure and helps attract more bidders. If you're never considered using these virtual auction services, now might be the time to do so. As technology changes, the most successful businesspeople are those who can adapt to those changes -- and becoming a pro at online auctions can give you an edge over other auctioneers in your area. Sites like Storage Battles won't allow you to use their service, but OnlineStorageAuctions.com will. And since it's free, you lose nothing by giving it a try. 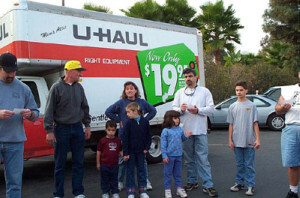 Storage Auctions: Fun for the Whole Family? When you think of fun family activities, storage auctions might not be the first thing that comes to mind. However, maybe they should be. After all, a storage auction offers a great opportunity to spend time with your kids and teach them valuable lessons about money. Whether you’re attending the auction to find items to use in your own house or plan to sell the items for a profit, your kids can learn a lot about the life cycle of household goods and how to effectively manage cash to make a profit on resale. The other benefit to bringing your kids to an auction is that emptying out a storage unit takes a lot of work. Having extra hands available to haul out items, pack away trash and sweep up the unit can definitely come in handy. This is especially true if your kids are older teens capable of heavy lifting. -- Ask ahead to see if the facility will allow minors. Some won’t let kids attend an auction due to liability risks. -- Make a plan for the day. Auctions can run long. Bring some snacks in the car and map out the route to all of your auctions if you plan to attend more than one. Planning will prevent some of the crankiness after a long day. -- Remember that auctions can be dirty, crowded, hot and full of strangers. If your kids are younger, find a sitter or leave them with the other parent so you don’t risk annoying fellow auction-goers. -- Consider bidding together on an online auction instead. This will allow you to spend time together unloading the unit without the added time standing in the heat bidding. It’s a good compromise if your kids don’t have the time or attention span to commit to a full day of auction-hunting. Like most activities, bringing your kids to an auction can require additional planning, but the rewards may be well worth the effort. You may even find a willing partner for your resale business once they get a bit more experience under their belts. When you think of family friendly activities, storage auctions probably aren’t the first thing that come to mind. And it’s certainly true that these auctions are no place for children. All the same, there’s real value in bringing your family along with you to auctions, especially if you have teenage children who are interested in finding their place in the world and making a bit of extra money. With the economy undergoing major changes, it’s no surprise that the younger generation will need to blaze their own paths more than their ancestors did, and learning the basics of a resale business at a young age can make that much easier. -- Participate in a few auctions yourself first so that you know what to expect. -- Don’t bring very young children; your kids need to be quiet, well-behaved and able to stand in the sun for hours without too much complaint. -- Don’t bring your kids unless they’re able to complete physical labor like hauling trash, picking up boxes or sweeping out a unit. -- Discuss what you’re doing with them in advance, particularly when it comes to the money aspects, so that the trip can be educational in more than one way. By discussing bidding strategies and the basics of resale to your kids, you establish a solid framework for them to build upon into adulthood. You gain a few extra sets of strong arms to help out at storage auctions, and your kids learn valuable lessons about the value of hard work. Overall, it’s a win-win situation for everyone. Have You Found a Vehicle at a Storage Auction? Clothes, books, jewelry, household goods, and tools are what you would expect to find at storage auctions. Maybe you found cash, gold or silver inside your locker. Or even collectibles or antique furniture. 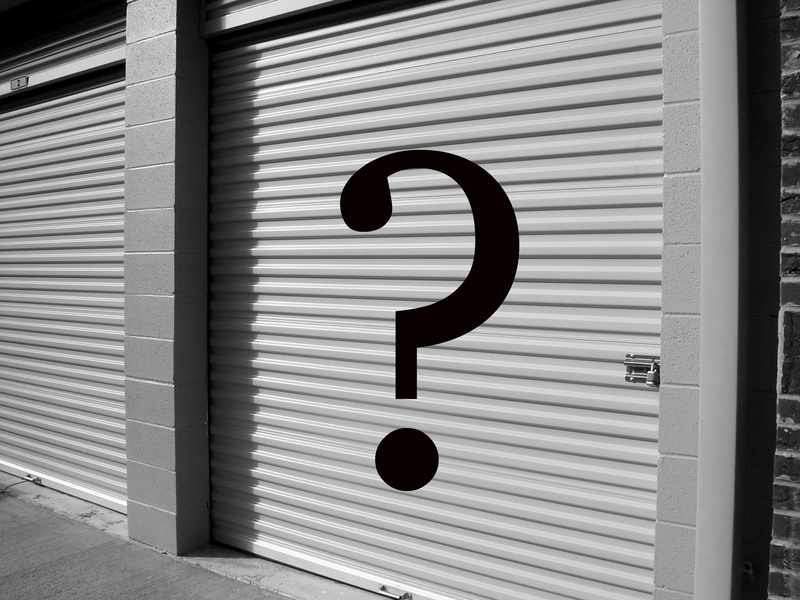 Have you found a car or motorcycle inside a storage unit yet? In an episode of Auction Hunters: Pawn Edition Allen and Ton won a ’68 Stingray Corvette at auction. Doesn’t seem real that you’ll find a car at a storage facility, does it? Here are a few vehicles bought at storage auctions. Then one of the rarest finds of all. A 1966 Shelby GT-350 Mustang one of only 1,100 original made and in near perfect condition. Car believed to be property of automotive designer Carroll Shelby. Car sold at auction for over $2 Million. The vehicles listed above are just a few “reported” finds. Do note that across the USA there are many abandoned vehicles left behind inside storage units for whatever reason. They’re out there ready to be discovered and that’s reality. Where Do Celebrities Store Their Belongings? It's every auction-hunter's dream: Opening a storage unit and finding out that it's full of exclusive celebrity paraphernalia. Who wouldn't want to see original photographs, unreleased recordings, hand-written song lyrics or other one-of-a-kind items from famous people? Not only that, but many celebrities are huge collectors in their own right, picking up souvenirs from filming locations or hoarding valuable items. Sometimes, these items end up in storage units, and sometimes, those units go into default. Celebrity storage auctions aren't the most common occurrence, but they do happen. Recently, Lindsay Lohan's belongings went up for auction. There was also the famous Paris Hilton storage auction, and of course the lost Beach Boys memorabilia auction that occurred recently. So, if you're an enterprising storage auction-goer, you might be eager to predict when and where the next celebrity auction will occur. Unfortunately, this isn't always easy to predict. First, there's no telling when a celebrity might default on his storage locker. Most celebrities have people who handle their finances for them, so even the most irresponsible celebs usually avoid major financial trouble or at least forestall it for a long time. Many storage lockers are also prepaid, so even if the celebrity goes broke, the locker will be protected. There's another complicating factor, of course: many celebrities don't store items under their own name. They do this for privacy reasons and to deter curious thieves and vandals. Instead, they'll put their units in the name of an agent or assistant. This can make it hard to tell where they do their business. It can also make it hard to know for sure who owned a unit that goes up for auction; it's always possible that a random unit might actually belong to a celebrity using another name. Still, there's a few things you can assume. A celebrity will usually use a nicer, higher-security facility in a good neighborhood. There's also going to be a higher chance of items being stored in a city known for its celebrity population, like Hollywood or Nashville. Don't think those are the only places where celebrities are keeping things, though: They might also keep their belongings in their home town, or they might have picked up a storage unit in a different town while filming there. Also, don't forget that the parents and other relatives of celebrities could be storing their items as well – it happened with Kobe Bryant, it could happen again. Overall, it's probably best not to obsess too much over a celebrity's storage unit. Your odds of finding one are extremely slim. Still, it can be fun to think about, and you never know – an amazing celebrity auction might be just around the corner. Should You Attend Auctions With Only One or Two Available Units? Some storage facilities choose to hold onto their units for several months and hold a few large auctions per year. Others want to have their units emptied as quickly as possible, so they hold auctions on a monthly or as-needed basis. This means that, depending on the size of the facility and how many delinquent tenants it might have had, any given auction could be quite small. When you find a notice of an upcoming storage auction, you'll be able to see quickly how many units are up for sale. 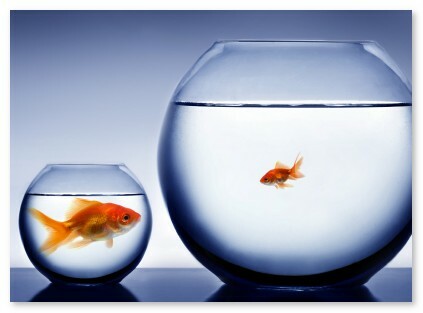 You'll then have a choice: Do you bother with the small auction, or do you only attend the larger storage auctions? There's pros and cons to each method, so putting some thought into it will help you make the right choice for your needs. Less competition. Since fewer people will be there, you don't have to deal with crowds or over-eager newbies. Most people won't bother with small auctions, which means you might have first pick of anything good you find. Lower prices. Since there are fewer people competing with you at a small auction, the units typically sell for less. You might be able to get the unit for next to nothing if the other bidders aren't interested in it. More time to talk with the facility manager. A smaller auction is likely to have a more relaxed atmosphere, which gives you more time to chat with the facility manager, auctioneer and other people who might be full of useful information about upcoming auctions. This networking opportunity might make a trip worthwhile even if nothing good is found. You won't be tempted to buy more units than you can deal with. Attending small auctions can be a good idea if you're just starting out or have a limited budget. Since only one or two units will be available, you won't be able to load up on a half-dozen units and then get completely overwhelmed. You might not find anything. Since only a small percentage of storage units have valuable contents, the units at a small auction may not fall into that category. You might waste gas and time. If you're attending multiple small auctions in one day, you might strike out on all of them. If you'll be visiting just one auction, that's still gas and time you would otherwise not have spent. You could miss out on a better auction. If you're at a small auction, you might miss a larger auction happening elsewhere, and that one could have some better opportunities. Overall, the question of whether to attend a small storage auction depends on how much time and resources you have available and how willing you are to gamble. While there's no guarantees that visiting the smaller auction will pay off, there's also never any guarantee that a larger auction will yield any better results. Considering the pros and cons and taking a calculated risk might just pay off. So which do you prefer: large auctions with lots of units and lots of people or smaller auctions with only a few units and a few people? Leave your interesting and creative responses in the comments section below.